The magnificent Margi boutique 5 star hotel - courtesy their website The magnificent Margi boutique 5 star hotel. As you might expect, Athens is a busy, loud, and congested metropolis. And, while no visit to Athens could be complete without climbing the marble edifice of the Acropolis, visiting the wondrous museums, or the picturesque neighborhood of Plaka, is it really necessary that the tourist spend their nights surrounded by cement and traffic? All the while, just a short 30 minute ride or drive away, a wonderfully beautiful coastline awaits – the Athenian Riviera. From the urban neighborhood of Palio Faliro to the southernmost tip of the Attican Peninsula at Cape Sounion and the Temple of Poseidon, Athens also offers a summer playground unrivaled anywhere in Europe. 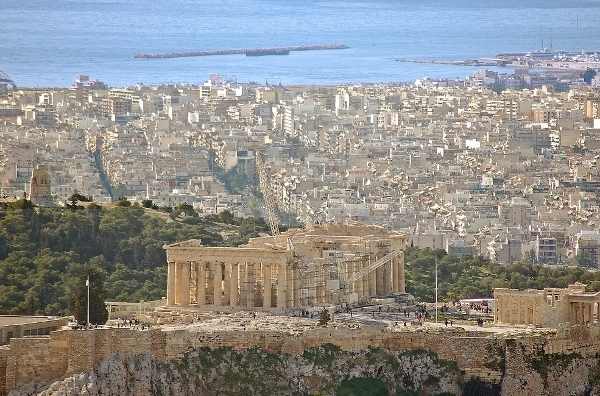 Let me introduce you to this prospective starting point for your Athens adventure. Our journey south starts in Palio Faliro. 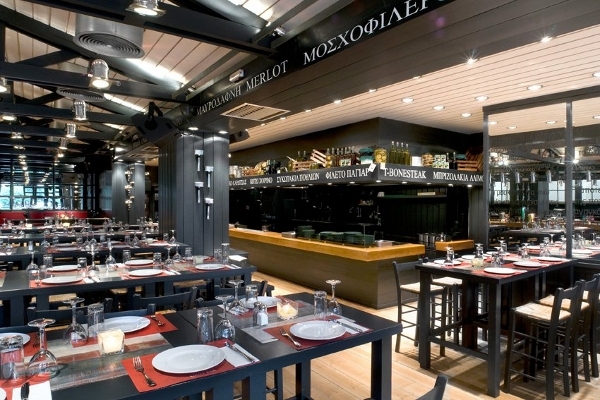 This neighborhood of Athens has always been a favorite among the upper crust of the city. The coastal road here is lined with upscale apartment buildings, fine restaurants, and the marina (image below) boasts more luxury yachts than you can shake a stick at. But, Pailio Faliro is only a starting point. A leisurely car trip along this road affords the visitor special privileges. Following the coastal avenue south, we pass the beach of Agio Kosma (below), and its sports complex, which was used as one of the main locations for Olympic events during the 2004 Athens games. 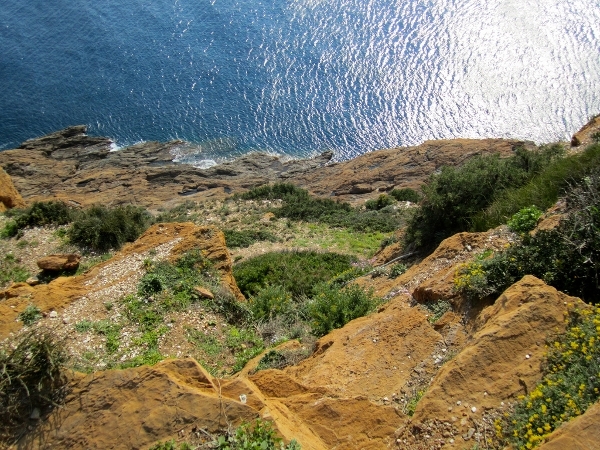 Then, as you follow the coast and leave Agio Kosma behind, you start to notice an increase lush greenery all about you. Arrive in Glyfada, a cosmopolitan beach-side suburb of Athens, you’ll actually be within a hub of activity all year round, but it is in the summer that this area really comes alive. 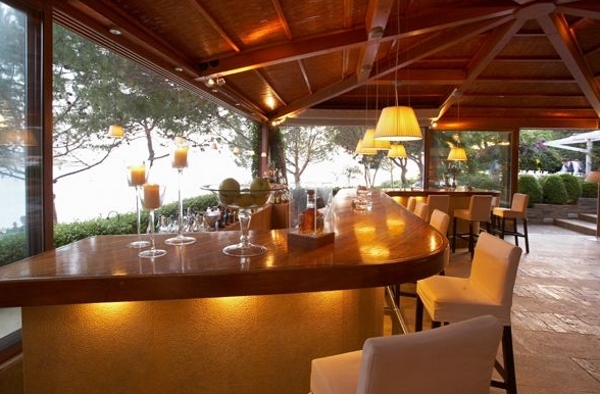 Along this coast, a series of posh night clubs exude energy, and Glyfada proper is a hive of shops, cafes (check out Grill Bar, a restaurant there), bars and hotels, all set to attend every sense. 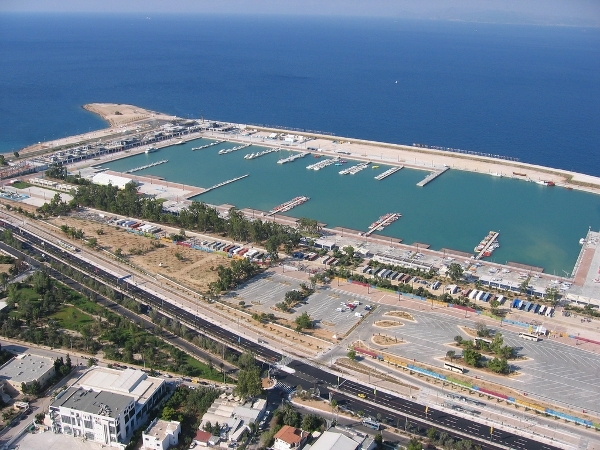 The easy access to downtown Athens via the tram rail also makes Glyfada an ideal location for a visitor wanting the best of both worlds, the culture of downtown Athens and the luxury of a beach-side hotel. 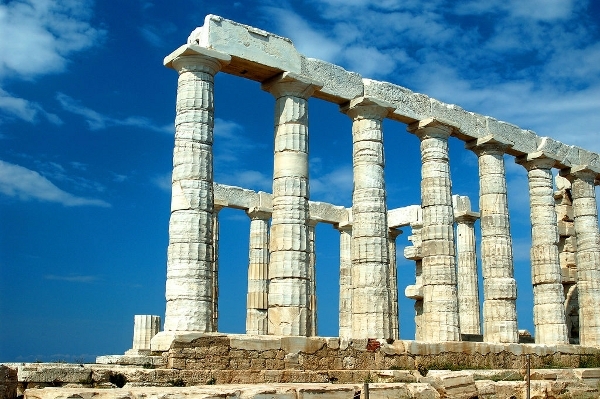 Now from Glyfada, you can also take a beautiful drive south (after lunch maybe) to visit the Temple of Poseidon (below) at Cape Sounion. The drive takes about 45 minutes, and along your trek you will be treated to cliff-side and sea views (cliff view second top) unmatched anywhere else in the world. At Cape Sounion, you’ll discover a wonder all its own too, an you can even see the alleged spot where King Aegeus threw himself to his death when he thought his son Theseus was killed by the legendary Minotaur. And returning from Sounio, why not stop into one of Europe’s most upscale neighborhoods, Vouliagmeni, and enjoy a fine meal at Ithaki (try the Trilogy of Salmon), or another of the many restaurants there? The sea, the warm summer air, and a fine dinner of fish are the perfect way to end an unforgettable day in Athens. And if you are lucky enough to have booked at the Margi (top image), maybe I’ll see you by the pool? So, next trip you plan to Athens, don’t let your travel agent book you into a hotel downtown. Demand to see the best Athens has to offer. 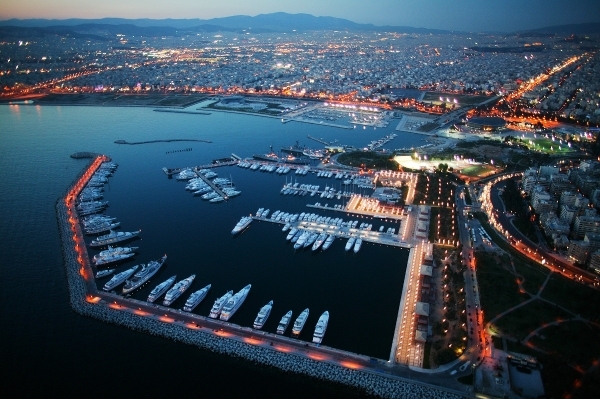 Demand and experience in luxury and convenience, along the Athenian Riviera. Have a great summer! I leave you with a wonderful image of our aforementioned symbol of wonder, the Acropolis.